Kriegar Grey DamascTec Stiletto Pocket Knife - Stainless Steel Blade And Handle, Damastec Finish, Assisted Opening | BUDK.com - Knives & Swords At The Lowest Prices! 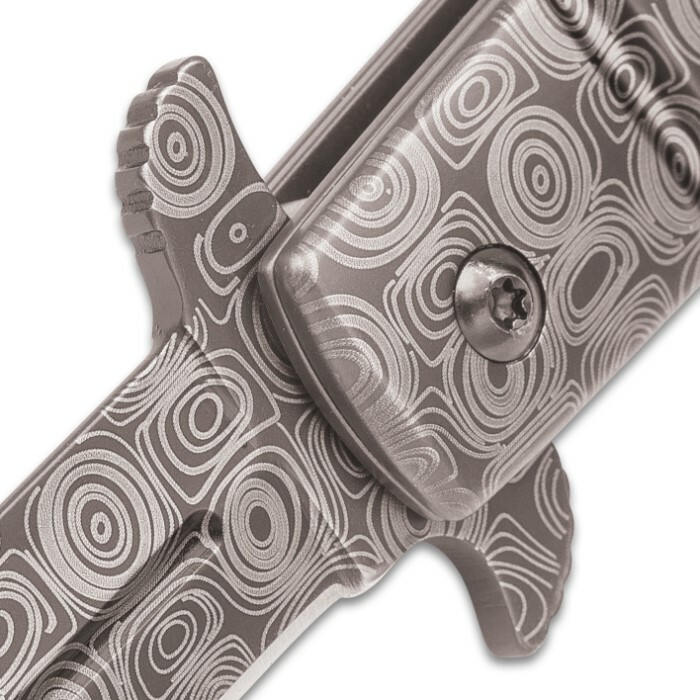 The unique swirling pattern of our Damastec finish truly gives this stiletto a one-of-a-kind look which just can’t be ignored! 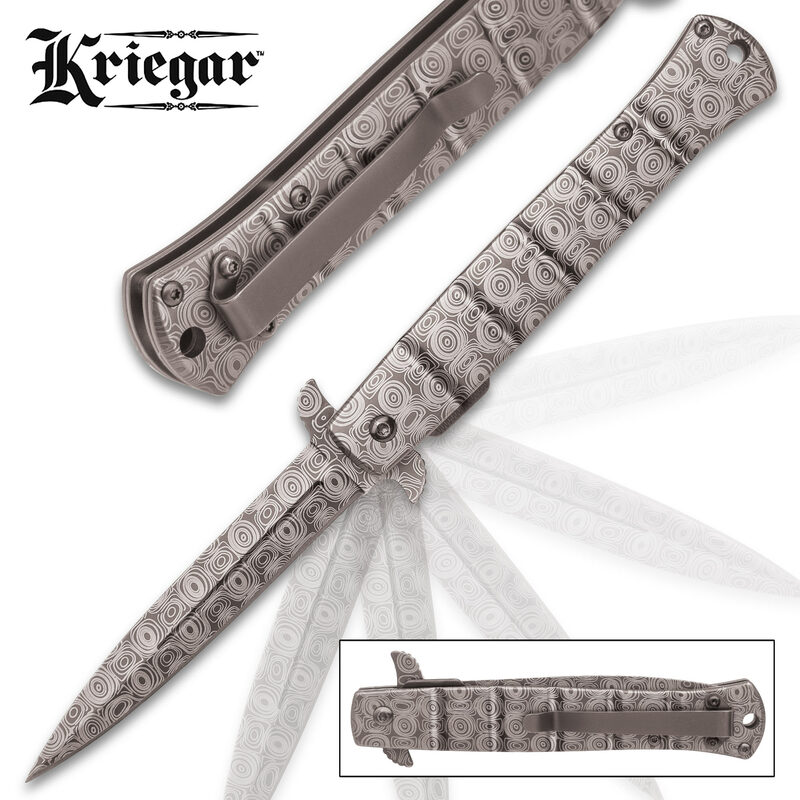 The Kriegar Grey DamascTec Stiletto Pocket Knife has a razor-sharp 4” stainless steel stiletto blade with the grey DamascTec finish and the blade can be smoothly deployed with the assisted opening mechanism. 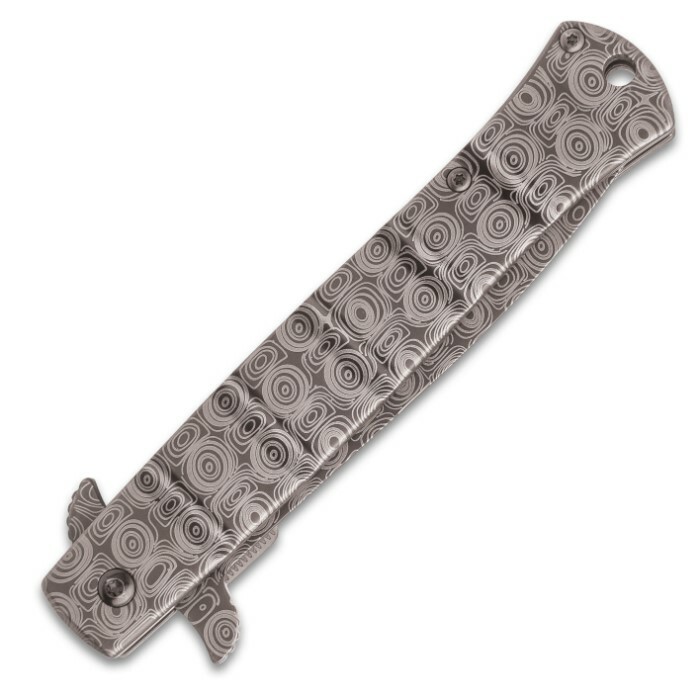 The stainless steel handle has the same grey DamascTec finish as the blade and a darker grey liner, giving it an allover cohesive look. 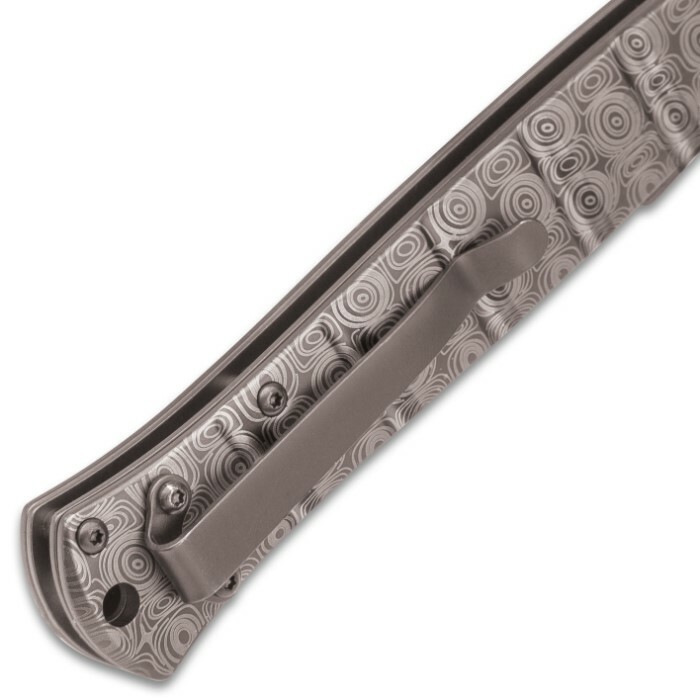 The handle also features a sturdy metal pocket clip and a lanyard hole for different carrying options. Your friends will think you paid a fortune for a custom-made stiletto knife! Purchased this after getting their other dimas-tec pocket knife, which was 2x the knife this is, same money. First one wouldn’t lock, replacement worked, but overall not near the quality of the other one I purchased. Stiletto not so good, their other Damasc-tec was killer.